Wow, it has been a really long time since I've painted furniture!! Kinda weird to have had such a long unintentional break. I just haven't bought a lot of big pieces prior to moving, and the stuff I have bought since the move hasn't needed anything. It felt really good to mix up a batch of milk paint and have some fun. I'm still partial to Miss Mustard Seed's milk paint. It is just so much fun to use, and I always love the results. 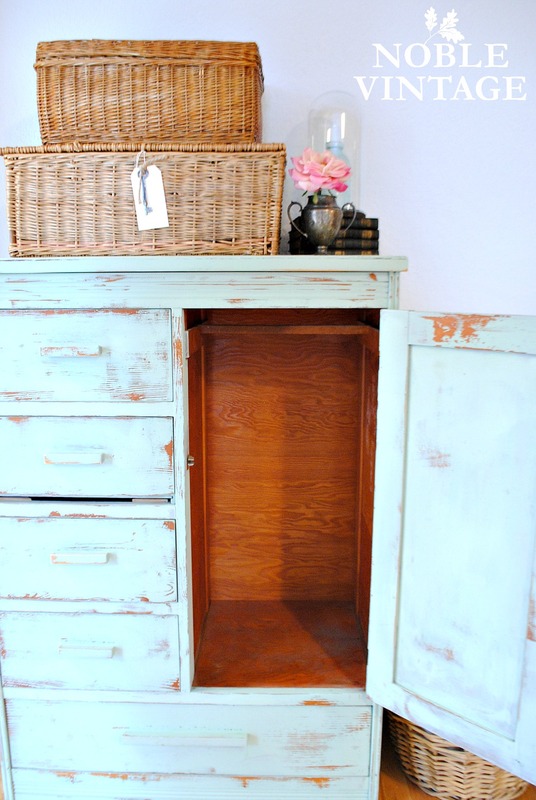 For this cute little cabinet, I decided to go with a custom mix of colors. I wanted a real, vintage looking mint green. I used 3 T of Luckett's Green, 3 T of Linen, and 2 T of Eulalie's Sky. The directions on the packet say to use equal parts powder to water, but I always put in an extra tablespoon of water, because I like the consistency better. I went over the whole piece with a light grit sandpaper, and left the interior in the original stained pine. Instead of waxing this piece, I went with my new favorite finish: General Finishes Flat Out Flat. It goes on just like a poly, but feels like a buttery finish, similar to wax. The benefit is that it doesn't water spot like wax can, it's quicker to apply, and has a more durable finish for pieces like table tops when you don't want heat to disturb the finish. And, it doesn't have to be reapplied like wax. I'm not saying I won't ever use wax again, because I still like it for some applications, but I am really digging how nice and simple the Flat Out Flat works! The other plus, is that Aunt Bee's House sells the General Finishes paint line, so it's easy for me to have on hand. We are busy juggling house projects and me getting ready for a couple upcoming shows. 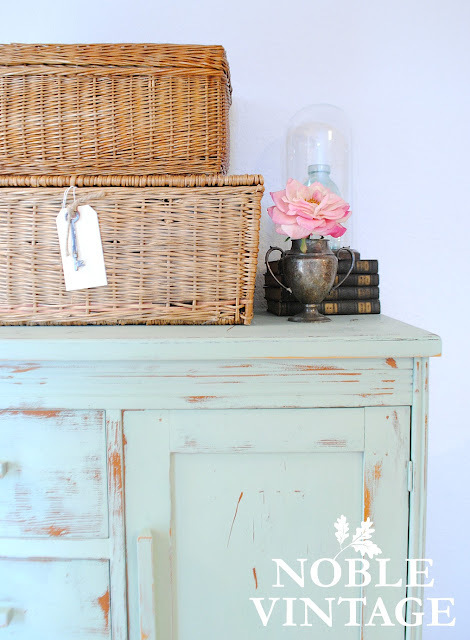 It was fun having a new spot to photograph my first furniture project at our cottage! No more colored walls to contend with!! I am really hoping to post some updates on our fun new house soon. We're enjoying spring break and some fun family outings! 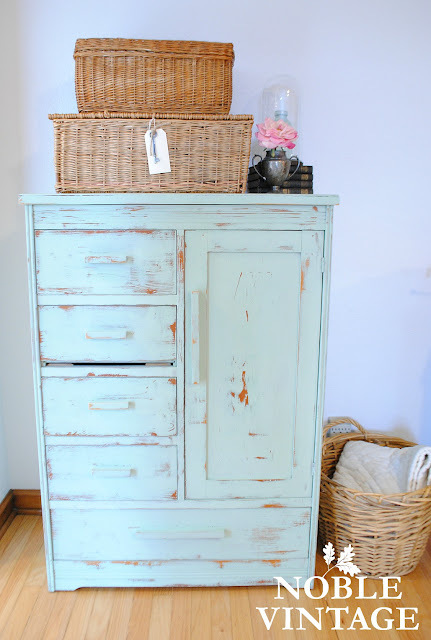 very pretty and I love the vintage green color you mixed up! thank you so much Darrielle!